Hello peeps! Yup, it's me again! I have a long blog list to clear which means you will have plenty of articles to read! If you have not know, I was away from my blog for quite some time because I was really busy preparing my wedding day. 24 hours a day is not enough!! Hehe. Anyway, roughly around a month ago (or more), I received a surprised goodie box from HiShop! How nice!! 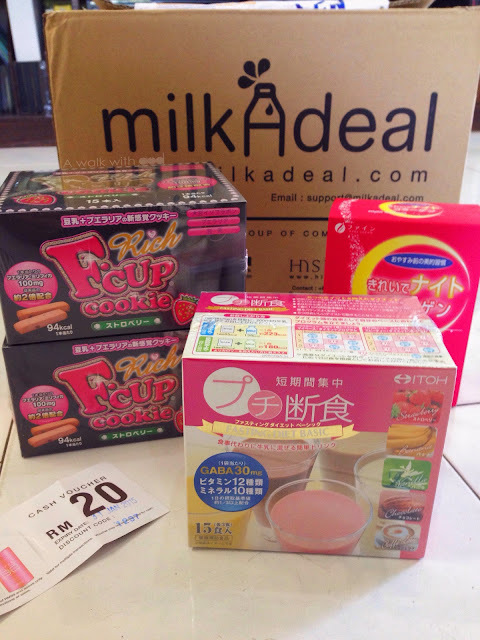 2 boxes of F Cup Rich Cookies, one ITOH Fasting Diet Basic and a FINE Night Collagen. I will blog about them individually in different post so that it won't be too long for you guys to read. Let's start with F Cup Cookies first Ya! I'm sure most of you have heard about F Cup Cookie, but how much do you know about it? 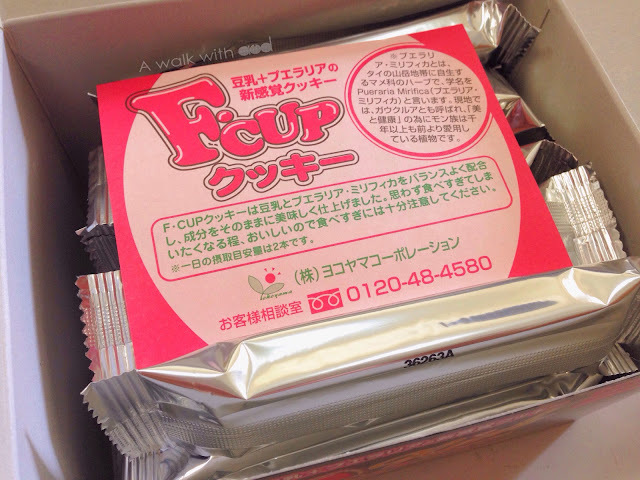 F Cup Cookie is a natural breast enhancement innovation from Japan with eight essential amino acids and F Cup Rich Cookie is the improved version. It has sold 4.5 million boxes throughout Japan, Taiwan, Singapore and Malaysia. 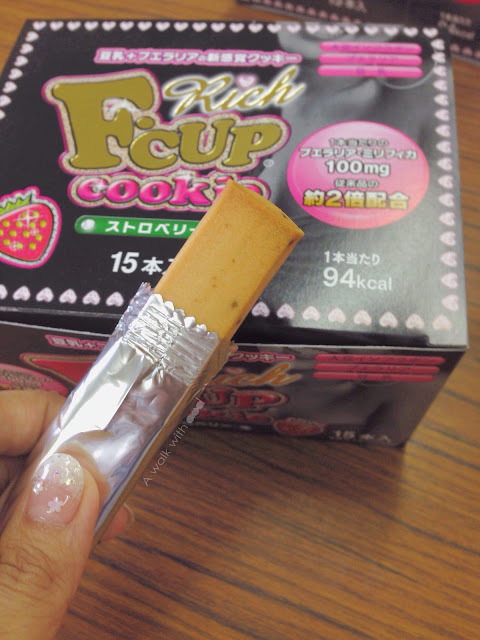 Each F-cup Rich Cookie contains 50mg of the herbal breast enhancer Pueraria Mirifica. Pueraria Mirifica is a safe and effective, natural breast-enhancing ingredient. For ease of use, each F-cup Rich Cookie is individually wrapped, ready to enjoy anytime. Just 1 to 2 cookie per day is all that's needed for natural breast enhancement. Remember to drink lots and lots of water after having the cookie. As the name implies, F-cup Rich Cookies helps you achieve larger breasts while you relax and enjoy a tasty, low calorie cookie. 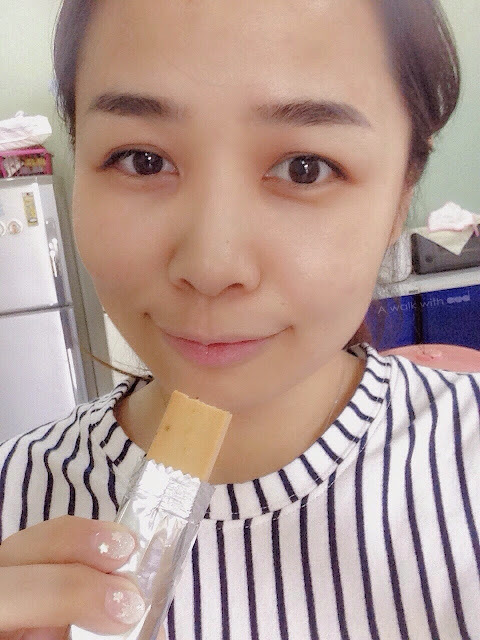 The one I'm trying is in strawberry flavor, there's also soy milk and chocolate flavor! According to my mum (she ate most of them, her breast feels firmer after finishing a box of the cookie, but do take note that same effect may not apply to all individual as body reacts differently, so do use this as a guide. As for the results on you? You will have to try it out yourself! Head to HiShop >>here<< to get a box to try today! Quote "AUDREYTIOW" to enjoy 15% off all normal-priced items.